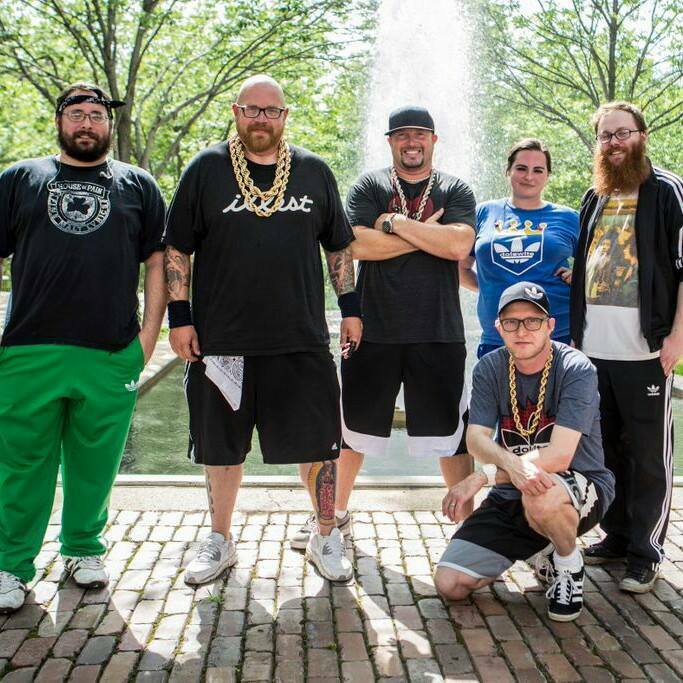 Dolewite Kansas City Hip Hop Rap is one of the newest and most undeniably infectious bands from the Kansas City region. The band’s stage show is one like no other true to the era’s form. Each member of the band wears a tracksuit. A fashion statement that has begun to carry over into the growing fan base at every show. They use a video backdrop showing different moving slides and animation. As well as samples between songs. Props and gifts for the crowd are also used alongside two confetti cannons that shower the partygoers each night. Whether your crowd prefers a live rock show or the experience of dancing to a D.J. Dolewite will entertain them all. Each song in the set is a well known hit played. They play it with an abundance of energy, and a tongue planted firmly in cheek. Comical and impressive, imposing yet inviting. Once you’ve experienced Dolewite, you won’t forget Dolewite.